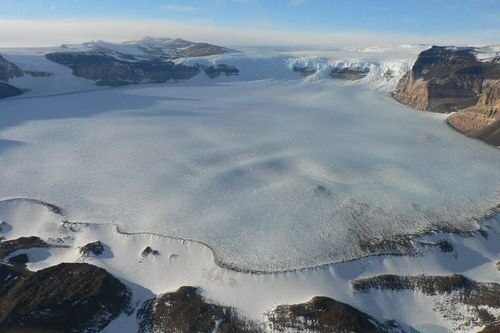 Lake Vostock, a body of water concealed under 2.2 miles of ice in Antarctica has been contacted by Russian researchers who began drilling for it more than two decades ago. 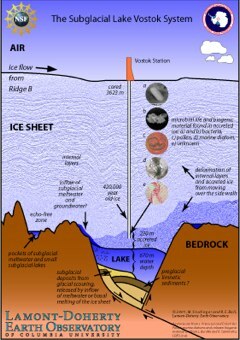 The subglacial lake has not been touched in over 20 million years. What is found under the ice, could very well inform how we look to explore more exotic locales beyond Earth. Many scientists see Vostok as not only a last frontier on Earth but also a potential gold mine for learning about possible conditions on Jupiter’s moon Europa or Saturn’s moon Encedadus. Each is covered by a thick shell of ice with liquid water below, warmed by either the inner heat of the moon or by tidal forces. The United States and Britain will begin drilling later this year into small subglacial Antarctic lakes. Scientists estimate that there are about 200 of these lakes beneath the ice sheet. The breakthrough comes after worries that the Russian team might have been in trouble after they did not respond to colleagues in the United States in the days leading up to the discovery.